Although I love most of your products, I am especially fond of the coconut and banana treats. However, the coconut pineapple and banana mango snack bars are almost too sweet for me to be able to eat. I had a gastric bypass a couple years ago, and tho the sugar content is within my limits, these two flavors seem particularly sweet to me and I can only handle half of a bar before giving to someone else or throwing away. I work at the airport outside and need something I can grab quickly for a fast treat. I travel a lot on business and never know when a real meal will fit in my schedule. 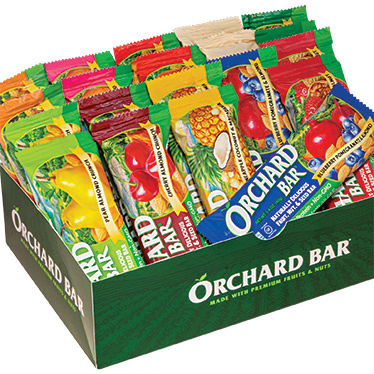 I've tried LOTS of trail bars and these definitely taste the best. 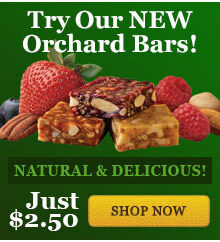 Fresh, fruity & nutty, not at all like a candy bar (like some) or like straw (like others). Moist, great texture and flavor. All the flavors are great so I like to buy the sampler. Don't leave home without it!